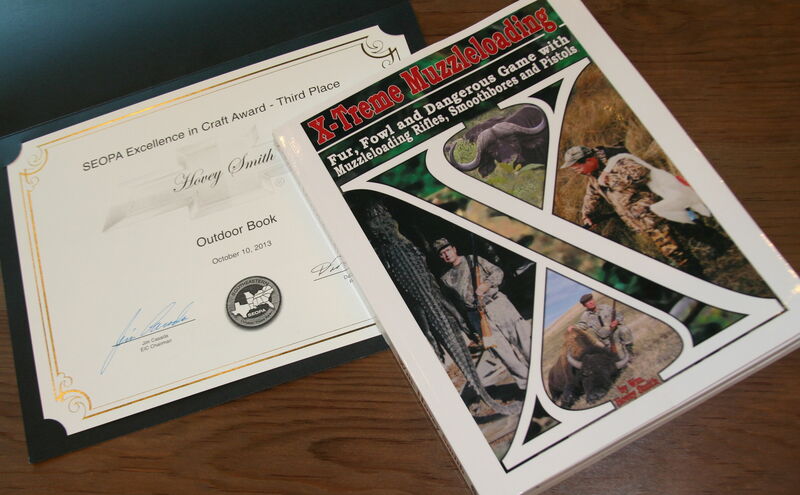 My book, X-Treme Muzzleloading: Fur, Fowl and Dangerous Game with Muzzleloading Rifles, Smoothbores and Pistols, E-book, Hunting Big and Small Game with Muzzleloading pistols and video, With Adirondack Loads, Selden Rifle and Blunderbuss take Georgia Deer, took prizes at the annual Georgia Outdoor Writers Association’s (GOWA) annual meeting at Warm Springs, Georgia, in April, 2014. 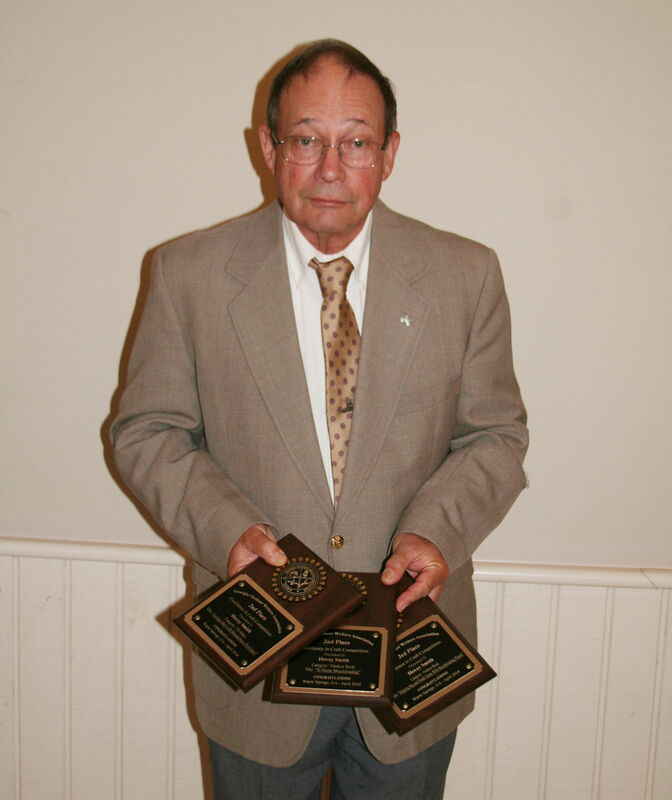 X-Treme Muzzleloading took a third place prize at the Southeastern Outdoor Press Association’s (SEOPA) 2013 meeting at Lake Charles, Louisiana. X-Treme Muzzleloading is a heavily illustrated 8 1/2 X 11-inch 292-page book that was published as a softcover and E-book title in 2012. In its 25 chapters, I discuss the types of muzzleloading guns and my hunting experiences with everything from a matchlock musket to modern percussion revolvers. As in all of my softcover outdoor books, I conclude with 30 kitchen-tested recipes for fish, game and fowl. Last year this book also took a third place book award at the Southeastern Outdoor Press Association’s (SEOPA) meeting at Lake Charles, Louisiana. In my books, readers find the unusual, the unexpected and much useful information about guns, loads and hunting techniques. The book was published by Author House and is often least expensively available from them. This title is also available on Amazon.com, Barnes & Nobles, Gardners, and the soft-cover and E-book version is sold by nearly all on-line book resellers. Or, you may support your local bookstore by ordering X-Treme Muzzleloading from them. Prices vary, and the softcover editions retails for a little over $20 and the E-book version for between $9-$12. Just because a writer publishes a book does not mean that he does not continue to work on that topic. To provide a publication for those whose interests in muzzleloaders are more narrowly focused, I started publishing a series of E-book titles on different aspects of the subject in 2013. Five were published in 2013, and the title that won third place at GOWA was Hunting Big and Small Game with Muzzleloading Pistols. This book describes hunts with flintlock and percussion pistols including “Bouncing Bounty” with its 14-inch long barrel, the Howdah Hunter with its two .50-caliber barrels and Cabela’s stainless steel Buffalo Revolver with a 10-inch barrel and adjustable sights, among other interesting handguns. As usual, I provide detail information about loads and performance. This E-book is priced at $4.99 at Amazon.com for Kindle and is also available for Nook and all other E-book readers as well as from Apple’s iBookstore. It is difficult for a guy who runs a one-man show to make videos that can compete with those made by professional video production outfits with budgets of $1,000 per broadcast minute. I submit anyway, and With Adirondack Loads, Selden Rifle and Blunderbuss Take Georgia Deer took second place in the TV-video category at GOWA. Its content was sufficiently compelling to beat one TV episode. Although this is an interesting, informative video that is far better that the usual YouTube videos, a reality check reveals that the only reason it placed so highly was that relatively few GOWA members are producing TV materials. Nonetheless, this was a win, and I am pleased to accept it. You can view the video below and see it on YouTube at: http://youtu.be/VeWY82B7WJw. This is one of the more than 300 that I have posted on guns, crossbows, hunting, knives, bowfishing, cooking and outdoor living. GOWA is similar to many state outdoor writers organizations in that all have meetings to improve their members crafts, highlight different outdoor activities in their home states and provide an easy entry into professional outdoor writing for beginning writers. Often the membership requirements are very low. Usually, state organizations only require that the candidate publish, for pay, a small number of outdoor articles, photos, videos or TV shows a year. Once a member of a state organization, it is easier to join regional organizations like SEOPA and the national organizations such as OWAA and POMA (The Professional Outdoor Medial Association). These higher-level organizations have stiffer membership requirements and periodically review their member’s activities to insure that they continue to meet the organization’s membership standards. A significant benefit is that an active membership in OWAA and POMA eases the acquisition of press credentials for major trade shows, such as the Shot Show and NRA and NWTF national conventions. Way to Go Hovey. I am pleased to see proper recognition by Georgia Outdoor Writers Association. You have dedicated your life to share knowledge and help others get started in Hunting, Fishing and outdoor activities. Your restless efforts to develop and promote ethical hunting and fishing and all related out door activities practical for the common person have helped many people and will continue to do so. These Awards are truly Well deserved. I look forward to your upcoming ebook series and future projects. Thank you for all your hard dedicated work and hospitality in promoting hunting with Black Powder Handguns and my Universal Bullet series. 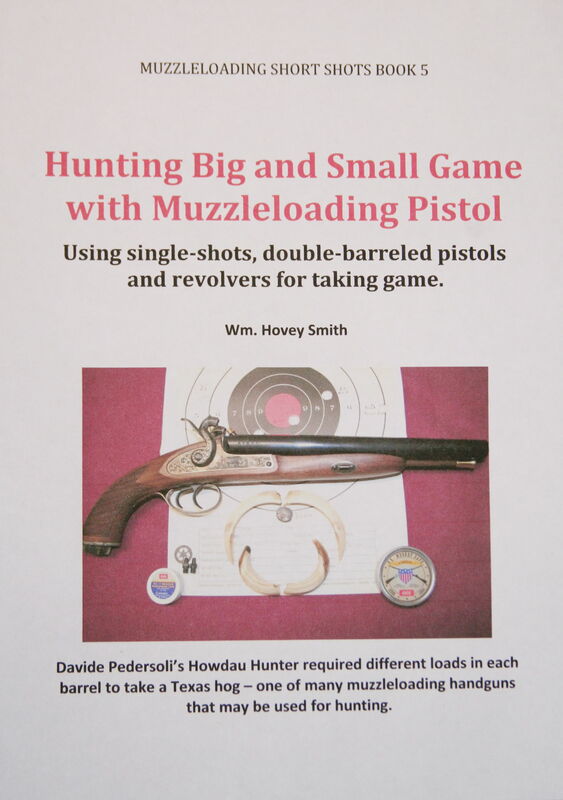 I am greatly enjoying X-Treme Muzzleloading in the ebook version – entertaining and educational.